It was “Bike Week” on CTV Morning Live today so I picked a selection of apps for those who prefer to travel on two wheels (motorized or human-powered!). 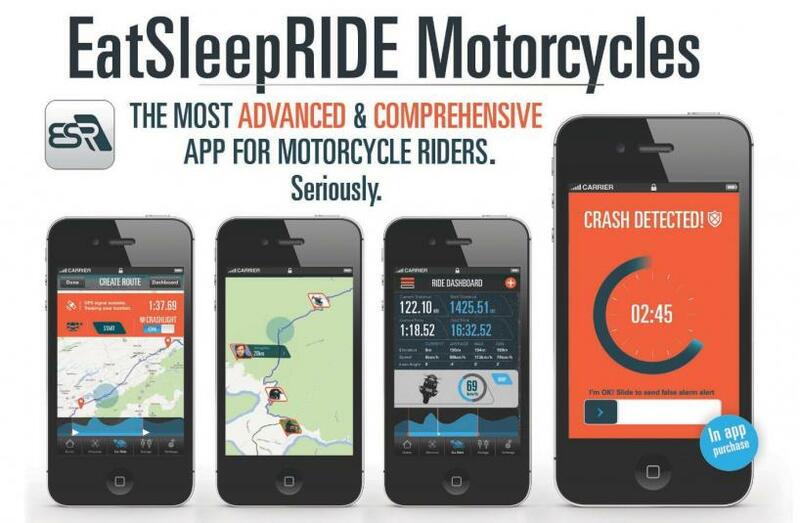 This app is calling itself the most advanced and comprehensive app for motorcycle riders! ESR is a social utility app packed with tools and features to help you ride further, faster and safer. With ESR you can record your ride (simply by having your phone in your pocket) and then replay your route. You will also be shown your speed, lean angle and elevation on the map. Another cool thing is that you can have your own Ride Diary where you can tell your ride stories and include pictures to then share with your friends. This app has a ton of other cool features that riders will love. One last feature I wanted to mention was the CRASHLIGHT feature. For a $4.99 in app purchase you can get CRASHLIGHT for the year. This feature automatically notifies your pre-set contact in the event of a crash. Whether you are biking a trail or riding on the road, you need to be prepared for anything. This handy app has 35 videos and 46 high-resolution illustrations to guide you through any injury or emergency. Their content is extremely comprehensive with a powerful search tool to help you find just what you are looking for. 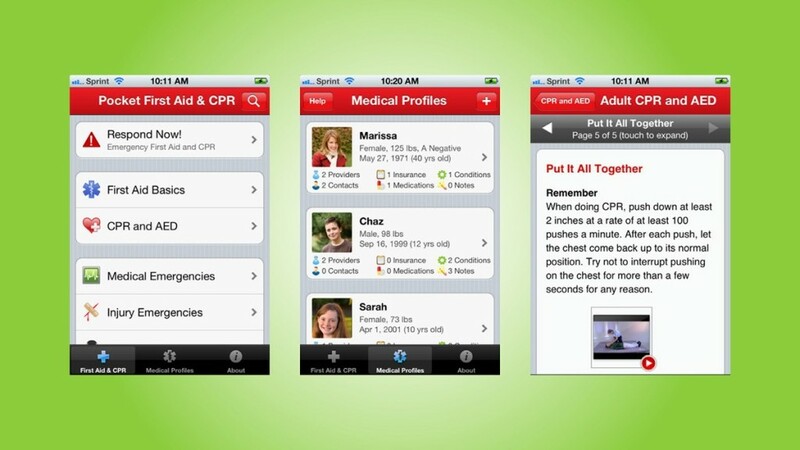 This app is also great to have just in general in case you ever have an emergency you need to deal with. 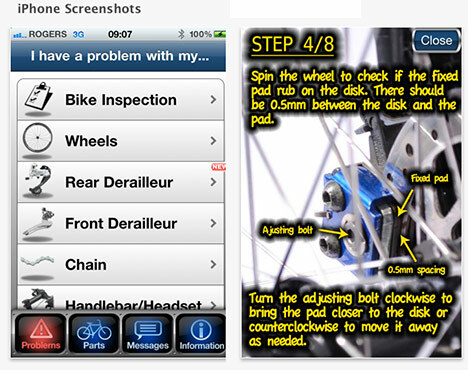 The thing that I like about this app is that is uses tons of photos to guide you in fixing your bike. There are almost 100 tips and tricks with over 300 photos which would really come in handy if you were doing your own mechanic work on your bike. 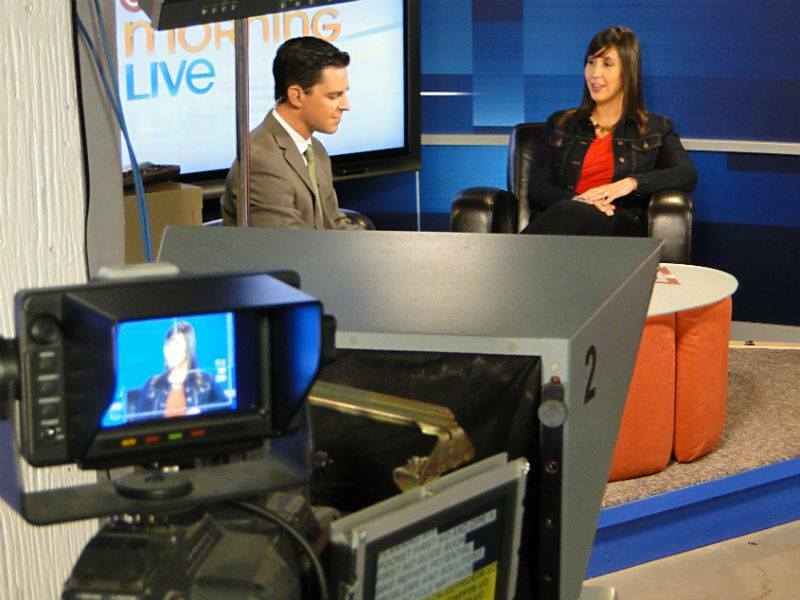 Thanks to CTV for having me on to talk about these fun apps! I am not a motorcyclist myself but it was fun to research the different apps and learn more about biking and cycling! “Does the app come with grease for your bike?” Best question asked by Jeremy Dodge today on CTV Morning Live!